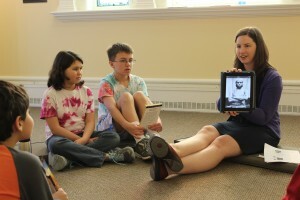 This post comes to us from Kate Baldwin, Curator of Education at the Litchfield Historical Society in Litchfield, Conn.
By using current technology we can easily incorporate videos, music and images, making it easier to connect with the kids on their level. The educators at the Litchfield Historical Society love to read young adult historical novels. This has come in handy with a book club we run for 9-12 year olds. The Leather Apron Book Club is a monthly program we developed to correspond with a temporary exhibition on the Civil War. The attendance was always high and the kids were engaged so we re-worked it and kept it as a regularly scheduled program. The basic activities in the book club are the same each month: a short discussion on the book, connection to and viewing of related items from our collections, “fact or fiction,” and games and craft or similarly related activity. One extremely popular part of the program is “Fact or Fiction.” I read a statement related to the book topic and the kids decide if the statement is true or false. This gets the kids up and moving and entertained with a few silly statements thrown in. Feature original items (or copies of them) from your collection — with permission and collaboration from the curator and archivist, of course! Always read (or re-read, as the case may be) the book beforehand and warn parents in advance of gory details or delicate topics. Getting outside the museum to explore Litchfield. Scavenger hunts are always a big hit. If your museum is anything like mine, you have a wonderful local history with amazing collections that you can, in some way, find a way to connect to our national history. Remember, the book club started as a Civil War-themed activity. 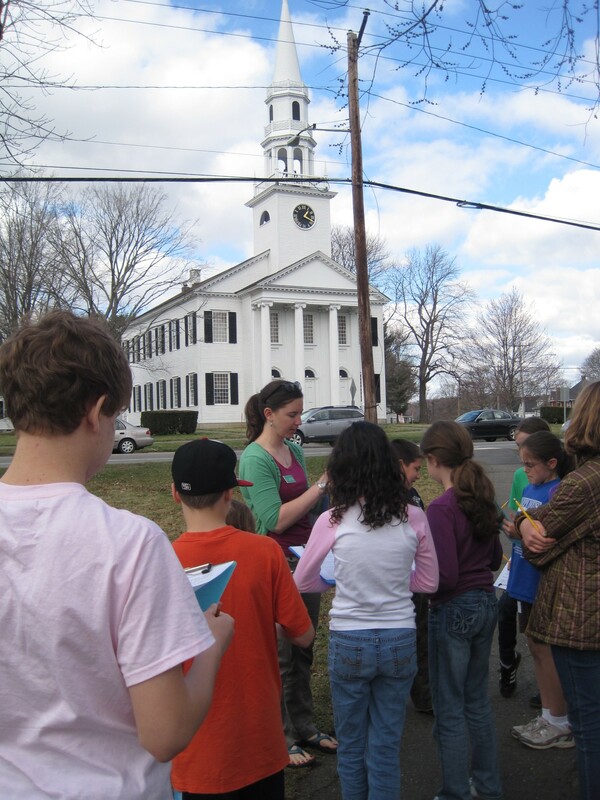 But even after we’ve stopped reading books related to the Civil War, we can still find many topics to read and relate back to Litchfield history. Some of these topics include: P.T. Barnum, Abigail Adams, the Salem Witch Trials, and Theodore Roosevelt. This is one of my favorite programs to run and I hope we can keep running it for years to come.